A monthly Welsh language temperance periodical that advocated moderation when drinking alcohol rather than total abstinence. The periodical's main contents were articles on moderation and the dangers of alcohol alongside news and reports on the activities of societies advocating moderation across Wales. 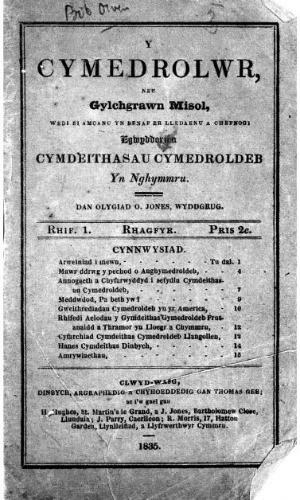 The periodical was edited by the minister and man of letters, Owen Jones (Meudwy Môn, 1806-1889).